We offer excellent, individualized care on a 24-hour schedule by both on-site nurses and Caregivers. We stand firm on our core values of honoring God, putting people first, and building trust in our relationships. Our goal is to create a community where higher standards of care are not just expected, they also provide a sense of purpose. Our compassionate, qualified team members operate at the highest level – providing support at any hour of the day or night – so you focus on living each day in complete fulfillment. – family member to a resident. Our Caregivers play a critical role in developing and implementing your individual care plan at Columbia Cottage. Caregivers strive to build a close bond with you and your family to ensure that the support you receive matches the needs of your mind, body, and spirit. 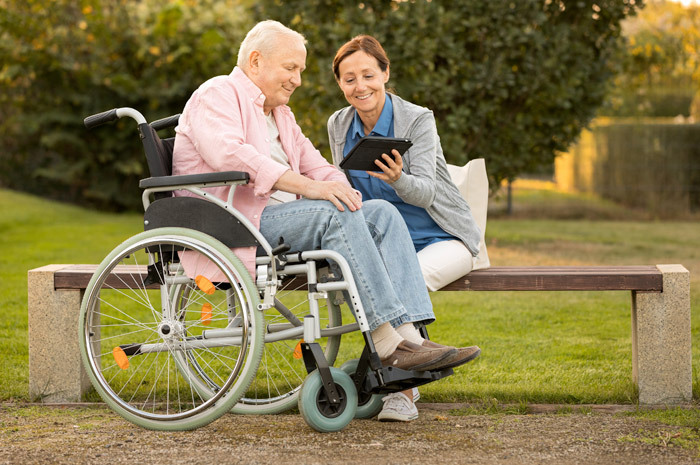 Within the Universal Caregiver model, you interact with the same Caregiver throughout the day, which then allows him or her to quickly spot any subtle changes in your status. Our Caregivers are also empowered to act quickly with new information and to inform medical staff and/or your family of any immediate concerns. You receive assistance with laundry, housekeeping, activities, and more. We respect the special bond you’ve built with your personal physician over the years and encourage you to continue working with the physicians you choose. Our team will assist you in coordinating transportation and other ancillary services as prescribed by your doctor. In an effort to improve universal care coordination, Columbia Cottage recently completed an update to our Electronic Health Records system. The advantage of managing digital records is it allows our team to share critical medical information with your Supplemental Health Care Providers in an efficient and effective manner, all while maintaining your privacy and requested permission levels. As a Licensed Assisted Living community providing seven levels of care, we are able to support you through a variety of medical and physical changes. Our goal is to allow you to age in place, which eliminates the need to relocate due to increased care or support services. You can learn more about levels of care, aging in place, and individual care plans by viewing the Honoring Choices page. We continuously monitor your health and wellbeing through our Universal Caregiver and Levels of Care model. Once a quarter, we perform a more extensive evaluation to monitor for any changes in the level of care you need. Other events can also trigger a change in level of care, including sudden increased challenges in mobility, behavior changes, or increase in medical oversight. If you have a temporary change in status and require additional doctor or rehab visits, we can coordinate scheduled transportation. You can also invite participating medical professionals (therapists, physicians, etc.) to provide services within your personal apartment.